Producing healthy, high value crops at lesser cost will help farmers raise their income. One way is by tapping the potential of seaweeds as natural fertilizer. Seaweeds contain an additive called carrageenan. 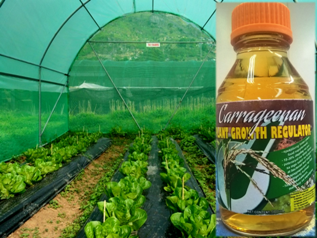 Earlier studies showed that carrageenan, when degraded or reduced into tiny sizes using irradiation technology, can promote growth in rice plants. It can also make plants resistant to pests and diseases. The Benguet State University (BSU) will investigate the effect of using carrageenan plant food supplement (PFS) and synthetic fertilizer combinations on the growth, quality, and yield of cool-season crops such as lettuce, broccoli, cabbage, and strawberry grown under greenhouse conditions. 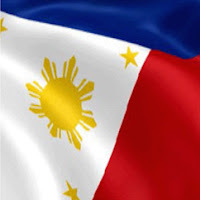 The Philippine Council for Agriculture, Aquatic and Natural Resources Research and Development of the Department of Science and Technology (DOST-PCAARRD) recently approved funding of this two-year project. BSU, through its Project leader Dr. John F. Malamug and his team, will evaluate the effects of various levels and frequencies of carrageenan PFS applications. They will identify the optimum levels and frequency of PFS applications where yield is maximum. Results of experiments at the research station will be validated in farmers’ fields. Also, the project team will determine the economic profitability of using the carrageenan PFS in vegetable and strawberry production. The project will benefit local farmers growing lettuce, broccoli, cabbage, and strawberry. When found feasible, farmers’ dependence on costly fertilizers will be reduced. This will mean bigger savings. Similarly, seaweed farmers and processors’ income will increase, as demand for seaweed is expected to increase. Also, safer and better quality fruits and vegetables will be made available to consumers at reasonable price. This project is also expected to result in 20% yield increase per cropping; 25-30% reduction in chemical fertilizer use; and at least 25% reduction in insecticide use.